Chanel House is named after the Marist missionary, St. Peter Chanel, who was born in France in 1803. At the age of nine, Peter Chanel spoke to his parish priest about following in the footsteps of the Good Shepherd and so began his spiritual journey. 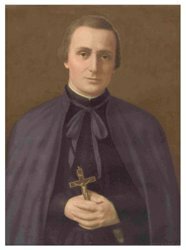 He was ordained in 1827 and four years later joined the Society of Mary, with his heart set on a missionary life. After Pope Gregory XVI entrusted the islands of Oceania in the Pacific to the Marists in 1836, Peter Chanel left France and almost a year later landed on the Island of Futuna. He spent the next four years spreading the Good News and trying to stop the constant fighting and cannibalism that was decimating the already small population. His call to peace was accepted by the people, but sadly, the local king was unhappy about this and had him murdered in 1841. Peter Chanel became the first Marist martyr giving his life in the service of God. 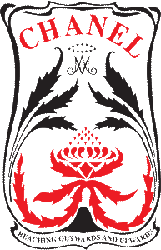 The Chanel House crest and motto are symbolic of the life and work of St. Peter Chanel, to whose example of Marist service Chanel girls aspire. The centerpiece of the crest is the native Australian waratah, the flower of which grows in two directions: outwards and upwards. Hence, the motto, Reaching Outwards and Upwards, describes the pledge of Chanel girls to extend outwards to reach those in need, and upwards to be the best possible version of themselves. 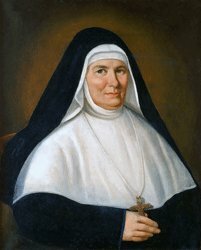 Jeanne-Marie Chavoin, patron of Chavoin House and Foundress of the Marist Sisters, was born in Coutouvre, France in 1786. In her adolescence, after a childhood that was secure and comfortable in spite of the dangers and terrors of the French Revolution, Jeanne-Marie was drawn to the religious life. Although she engaged in much voluntary work, Jeanne-Marie was not keen to enter any of the congregations with whom she was familiar. At Cerdon, a small village near Lyon France, Jeanne-Marie responded to a call from Father John Claude Colin, Founder of the Society of Mary, and his brother Father Pierre to lay the foundation stone of the feminine branch of the Society. Feeling strongly that this is where she belonged, Jeanne-Marie, with her friend Marie Jotillon, “left home and family…” for Cerdon in late 1817 to begin a congregation in Mary’s name. Education and service to the poor was a significant feature of the Marist Sisters’ charism as it spread through France. 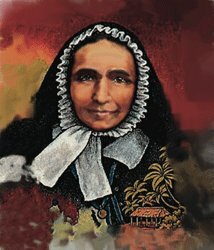 Jeanne-Marie carried on her active work until she died in 1858. She was a woman of strength, humility, realism, and prophetic insight who proclaimed the timeless message of the Gospel by living Mary’s example. The Chavoin House crest and its motto Excellence Above Glory are symbolic of the life, work and values of Jeanne-Marie Chavoin. The Marist symbol of the entwined A and M for Ave Maria, topped by the crown of stars, refers to our special place as followers of Mary. The central image of the jacaranda, a prominent tree on the Woolwich peninsula, symbolises the branches of the Marist family and Chavoin’s traditions and heritage. 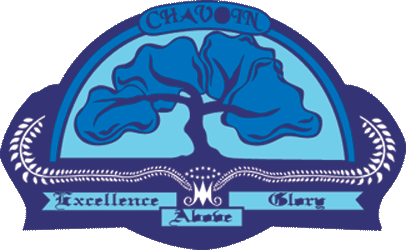 The House motto of Excellence Above Glory encourages Chavoin girls to follow the example of their Patron, Jeanne-Marie Chavoin and do their best in all endeavours. Colin House takes its name from Father Jean-Claude Colin, the founder of the Marist Priests and co-founder of the Marist Sisters. Born in France in 1790, John-Claude Colin developed a strong attachment to Mary in his early childhood as a result of his mother’s own devotion to her. Believing he would make a good priest because he was a thinker, Jean-Claude was encouraged to go into the seminary by his uncle and older brother. Between 1815 and 1816, along with other young men from the seminary, he pledged to dedicate himself to the founding a religious community bearing the name of Mary – the Marists. 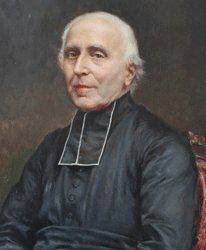 In 1816 Jean-Claude was ordained, and in 1836, when the Church at Rome approved the Society of Mary and he was elected its Superior General, he sent the first Marist Missionaries to the Pacific. He won the affection and respect of the pioneer Marists as the infant Society of Mary, under his leadership, expanded in numbers, ministries and missionary influence. He died on 15 November 1875. The Colin House crest and motto are inspired by the life of Jean-Claude Colin, and symbolic of the approach to life and work to which Colin girls aspire. The lion and mouse featured on the Colin crest come from Aesop’s famous fable of the same name. Although a lion and a mouse are completely different, in the fable each must do their part to help the other succeed. This sentiment is echoed in the House motto Unity within Diversity. 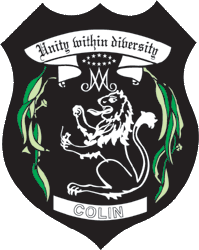 Although every girl in Colin House is unique and the House is enriched by this diversity, they are united as a Marist and Colin family. Jaricot House takes its name and ideals from its patron, Pauline Jaricot. 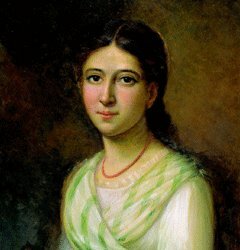 Pauline was born in 1799 in Lyon, France, and it was during her happy childhood that she developed the goal to help those less fortunate than herself by devoting herself to charitable activities. Pauline established a system for the workers in her area to ensure that they were paid regularly and treated kindly. She recruited the girls from her brother-in-law’s factory to her cause, collecting every week from each of them whatever they could spare. Her brother sent this money to the mission for rescue of abandoned children in China. Through her life Pauline expanded this effort while retaining its unity, fulfilling her life goal of helping society’s poor and marginalised. Pauline Jaricot worked tirelessly and selflessly for the poor and the weak. She is an inspiration to all Jaricot girls for her quiet devotion and solid faith, and for the sacrifices she made to achieve what she considered to be right. Pauline Jaricot was a beautiful woman who believed magenta to be the one colour that did not suit her. As an act of discipline, and from a desire to be known for her work rather than her beauty, Pauline chose to wear magenta. Jaricot House chose the colour magenta as its own to honour Pauline’s commitment to service above beauty. 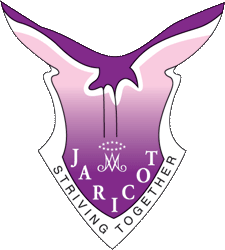 The Jaricot crest displays the silhouette of a jabiru, a native bird which works in pairs building a home in which to raise their young in safety. Jabiru have an extremely wide wing span and on the Jaricot crest this symbolises the protective and nurturing aspect of the House as well as the desire that Jaricot girls will one day fly free and with confidence. 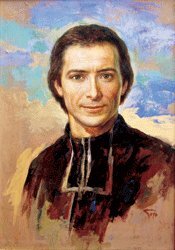 Saint Marcellin Champagnat, the patron of Marcellin House, was born in 1789 at the time of the French Revolution. He came from peasant stock in rural France and grew up at Rosey, near Lyons. At the age of fifteen, he made the decision to undertake study for the priesthood. Marcellin found formal academic study very difficult and experienced great loneliness while he was away from family and friends studying at the seminary. After persisting through many years of arduous study, Marcellin was ordained as priest on 16 July 1816. While at the seminary, Marcellin was part of a group of priests, later to become the Society of Mary, who had a special devotion to Mary. Once when he was called to the bedside of a sick boy he found that he knew nothing about religion even though he was twelve years old. For two long hours Marcellin spoke to the boy about God and finished by hearing his confession. He was just in time as the boy died soon after. From then on he was more determined than ever to begin a branch of the Society that would be devoted to educating the poor. As a result, he founded a group of men, known today as the Marist Brothers, who have devoted their lives to the education of young people throughout the world. 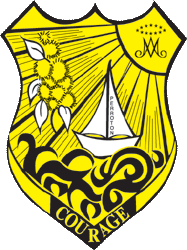 The central figures on the Marcellin crest symbolise Marcellin Champagnat as a compassionate and inclusive educator of young people. The crucifix is prominently displayed on his vestment as a symbol of his devotion to Jesus as the son of Mary. 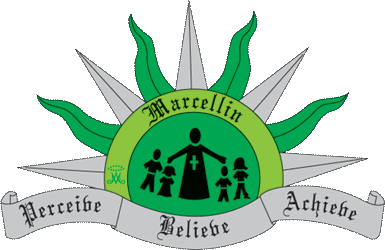 The motto of Perceive, Believe, Achieve represents the House focus and frames our approach and way of being in Marcellin House. Perroton House is named after one of the pioneers of the Marist Missionary Sisters, Marie-Francoise Perroton. Marie-Francoise was born in Lyon, France, and although her family was extremely poor she was fortunate enough to be offered an education to which she applied herself with discipline and passion. While being an active member of the Third Order of the Society of Mary, Marie-Francoise felt called to take ‘Mary’s way’ to the South Pacific. Responding to a request from the Christians in the island to “send us some devout women to teach the women”, she was the first of the 11 pioneers, at the age of forty nine to leave France for the South Pacific islands of Wallis and Futuna to be part of the Marist Mission. For the remainder of her life she lived on Futuna where she devoted herself to the education of young people. Marie Francoise Perroton was a woman with vision. She had the courage and determination to turn ideas into an action. Respect, service and courage are the essence of who Marie-Francoise was and the model for Perroton girls. The Perroton crest includes a sailing boat which symbolises the voyage that Marie Francoise Perroton took when she left France for the South Pacific islands. Like Marie-Francoise, Perroton girls set sail on their own journey of life and see the qualities and the values of Marie-Francoise as guiding this life journey. Courage is the motto of Perroton House and Perroton girls are reminded to be courageous in all aspects of their lives.